This one’s for the mantanners, the brobesties, the flatmales & guypartners everywhere. No more awkward hand half in & half out applications. 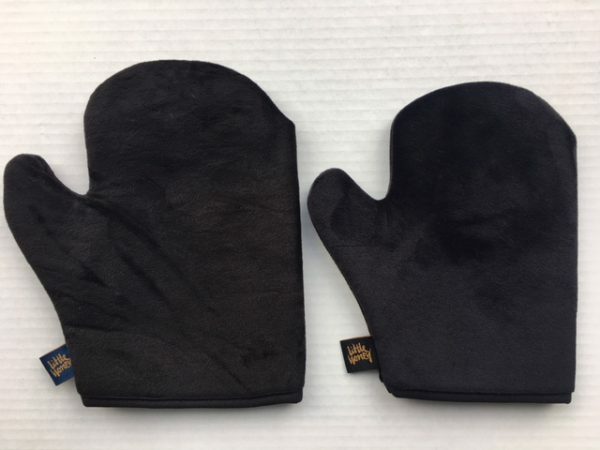 The very first man sized self-tanning glove is here! 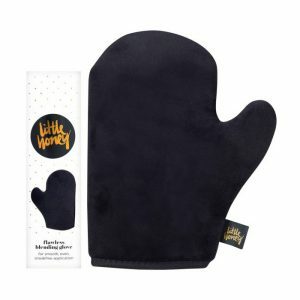 Little Honey’s boyfriend glove is the secret to a streak free flawless tan. The exact same Flawless Blending Glove you know & love, only bigger! Ensure your skin is clean, exfoliated and free of any moisturizers. 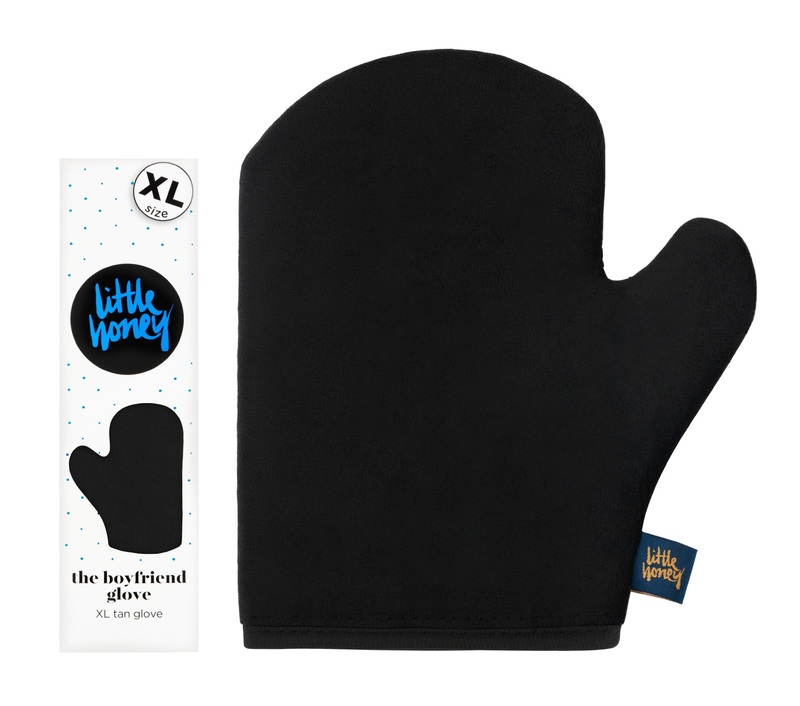 Spray 2-3 Pumps of Little Honeys Flawless Bronzing Mist onto your Boyfriend Glove. Apply and buff into skin using a circular motion doing one section at a time taking extra care around fingers, knees, elbows and feet. Repeat if necessary to achieve a flawless finish. Hand wash Glove with warm water and mild soap or shampoo and rinse until water runs clear. Air dry. Subscribe to our e-newsletter and get 15% OFF YOUR FIRST ORDER!